Residents in Japan, including foreign nationals, are required pay taxes to the government. If you engage in gainful employment in the country, you are subject to income tax. Owning real estate, operating a business – even if your headquarters is located elsewhere – requires you to file a final tax returns and ensure your tax declarations are in order. In this article, we look at tax payment options and penalty for delinquent tax payment. It is recommended by the National Tax Agency of Japan that taxes be paid through account transfers. This method has become quite common in Japan as the convenience of paying taxes at home has overruled the need to visit a financial institution. Tax payment through transfer account is a scheme where you pay taxes automatically through your bank account. It is similar to the automatic transfers for payments made to utility providers such as gas and electricity. In general, you need to request payment through transfer account for every tax item. Once the automatic transfer is implemented, tax payment will be done in this manner every year, therefore, reduces the hassle. Payment through transfer account is extremely convenient although this method means that a receipt of payment may not be issued. It is important to note, however, that if the tax payment through transfer account fails due to lack of funds in your account, you may be subject to delinquent tax starting from the day after the due date. If you are using bank transfer, it is important that you check and make sure you have sufficient funds in your nominated bank account. To request tax payment through transfer account, you need to fill out a request form available at the nearest Tax Office. It can also be downloaded from the National Tax Agency. The request form includes your name, address, and bank account information among others details. If you file your final tax return or make a tax payment after the due date, you may be subject to additional tax or delinquent tax. Delinquent tax is added to your principal tax if you do not make payment by the due date. An additional tax is imposed due to failure to file the final tax return by the deadline or if you understate your tax declarations. Delinquent tax is based on the number of days that you fail to make your tax payment starting from the day after the statutory due date to the date when the principal tax is paid in full. For delayed payments up to 2 months from the due date, a delinquent tax rate of 7.3% is applied. However, there is a Basic Discount Rate by the Bank of Japan on November 30 of the previous year with an additional 4% imposed between January 1, 2000 to December 31, 2013. After January 1, 2014, a Special Standard Rate + 1% is applied or 7.3% per year whichever is lower. If the tax payment is delayed for more than two months, a delinquent tax rate of 14.6% is applied. However, after January 1, 2014, either this tax rate or the Special Standard Rate + 7.3% whichever is lower is applied. The Special Standard Rate is composed of the annual average contractual interest rate that the Minister of Finance announces on December 15 of the previous year and an additional 1.5% p.a. 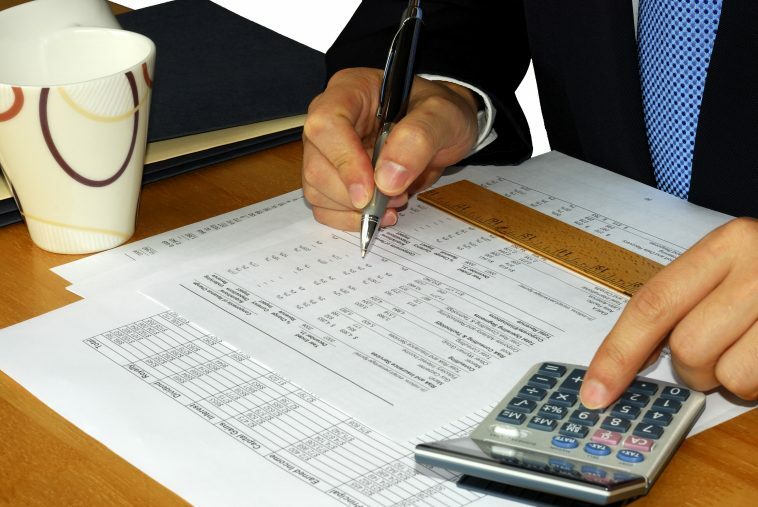 There are four different types of additional tax, each one with a different tax rate. Additional tax for failure to file – an additional tax of 15% is imposed on the principal tax when the taxpayer fails to file the final tax return by the statutory deadline. If the principal tax amount is more than 500,000 yen, the rate increases to 20%. The additional rate is increased by 10% for failure to file the final tax return or heavy additional tax is imposed in 5 years. However, the rate is reduced to 5% if the taxpayer voluntarily files the final tax return after the due date. If the taxpayer is aware of the start of tax audit before the return is filed, an additional tax of 10% applies or 15% for principal tax in excess of 500,000 yen. Additional tax for understatement – understating the amount of principal tax can lead to an additional tax of 10% on the amended return regardless if the amendment came from the taxpayer or from a tax authority correcting the return. The rate is increased to 15% if the understated amount is more than 500,000 yen. The additional tax is not imposed when the taxpayer voluntarily files the amended tax return. If the taxpayer is found aware of the commencement of the tax audit, an additional 5% is applied on the understated amount. Additional tax on non-payment – an additional tax of 10% is applied for non-payment of principal tax. The rate is reduced to 5% if the taxpayer voluntarily makes payment after the statutory due date. Heavy additional tax – when a taxpayer willfully disguises or hides a part or all details in regards to his taxes, a heavy additional tax of 35% for understatement or 40% for failure to file applies. The rates increase by 10% in the event of failure to file or heavy additional tax applies to the said tax within 5 years. Tax payment is more convenient these days through the use of automatic bank transfers. All you need to do is fill out the request form for this payment type indicating the financial institution which holds your account and you are set. Every time tax payment season rolls around, your tax payment will be through account transfer in the future. It is important, however, to make sure that you have sufficient funds in your account before tax payment due dates. Fund transfer failures can lead to delinquent tax being imposed on your principal tax amount. The Japanese government, however, takes kindly to taxpayers who voluntarily make things right by paying taxes or filing the returns after the deadlines. By the same vein, you can also be penalized for understating or willfully withholding information on your tax returns. What is the due date for tax payment? The due date for tax payment depends on when you filed your tax return. If you filed your tax return by the statutory due date, you will follow the statutory due date for tax payment for that year. For late filing, you will need to make your tax payment on the same day that you filed your tax return. In the case of corrections, you will need to pay your taxes up to a month after the notice of correction was sent. When is the deadline for arranging tax payment by transfer account? You need to apply for tax payment by transfer account by the delivery date or statutory deadline for the national tax it is set up for. Please refer to the National Tax Agency website for details on the deadlines. Will I receive a receipt when I pay my taxes through automatic bank transfer? No receipt will be issued for tax payments by bank transfers. If you wish to track your payment, you need to refer to your account’s transaction history. You may also go directly to the tax office to obtain proof that your tax payment has been received. How do I change the account transfer details for my tax payment? If you wish to nominate a new account for the tax payment by bank transfer, you will need to submit a new request form. How do I cancel an existing tax payment by account transfer arrangement? For cancellations, you need to contact your local tax office.